It’s always amusing to me when I’m told how good I have it. Even though I may be an open book, no one knows all of my worries and fears except for God, the Most High. What’s even more amusing is where people will try to make you feel bad for the blessings you have. Everything that I have, God receives the glory. God has blessed me with a wonderful support system. They help me more than they will ever know. So, because of this, I refused to get down in the dumps. There is much more work to do and I’m looking forward to that. What about you all? 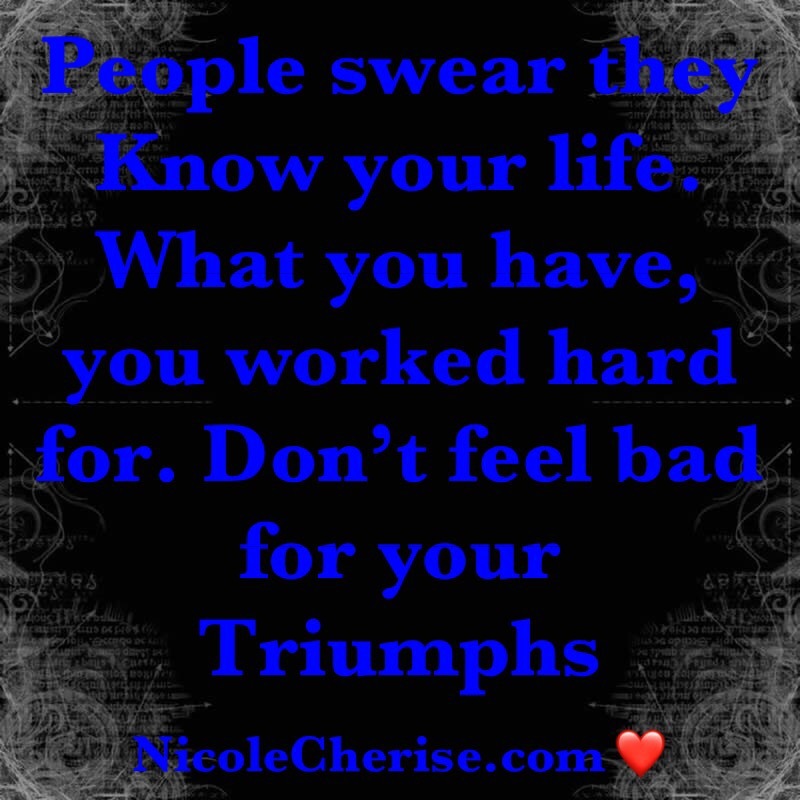 Have you noticed some people will try to rain on your parade or make you feel bad for the good that is happening for you? Please continue to work and live Your life! You got this! When your prayers have been answered. You ever had a time in life where you hoped for good things to come or you prayed about something that has been a burden to you? Then, at the moment where you almost give up, it just Works out?!!! Yes, that’s where my thoughts are today. The last few months, I found myself cheering for everyone else while I’ve been stressed out, still grieving and just confused about my purpose. However, the things that I’ve been praying about are working out in a better direction! It makes my heart smile, my spirit is overjoyed. I’m genuinely more at ease. Has this been you? Do you feel your burdens have been lifted and shifted?